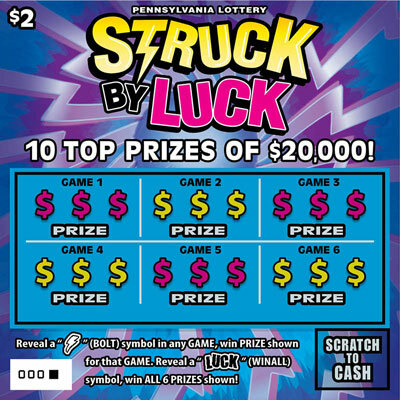 Struck by Luck is a $2 game that offers 10 top prizes of $20,000. Reveal a "LIGHTNING BOLT" (BOLT) symbol in any GAME, win PRIZE shown for that GAME. 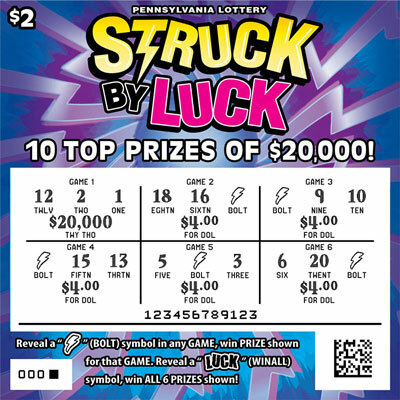 Reveal a "LUCK" (WINALL) symbol, win ALL 6 PRIZES shown!